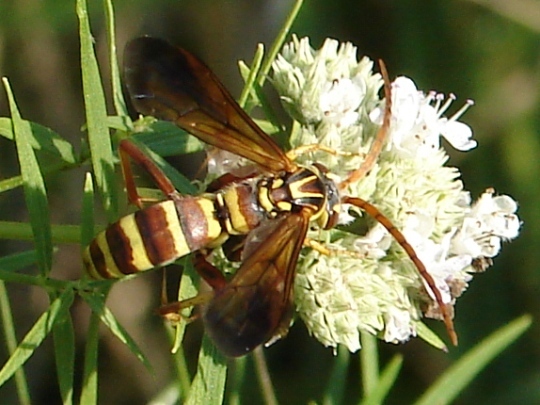 Nectaring on Pycnanthemum (Mountain-mint) virginianum (?). Very quick and didn't like observation. The slightest movement and it would leave the entire group of plants. for the confirmation. After Martin's comment my search had led me to the same ID but the variation within the species is considerable.